The 5ft 3ins range of greenhouses is popular among growers with average-sized gardens and provides superb growing performance. The Delta is an extra 11ins higher than its Streamline counterpart. 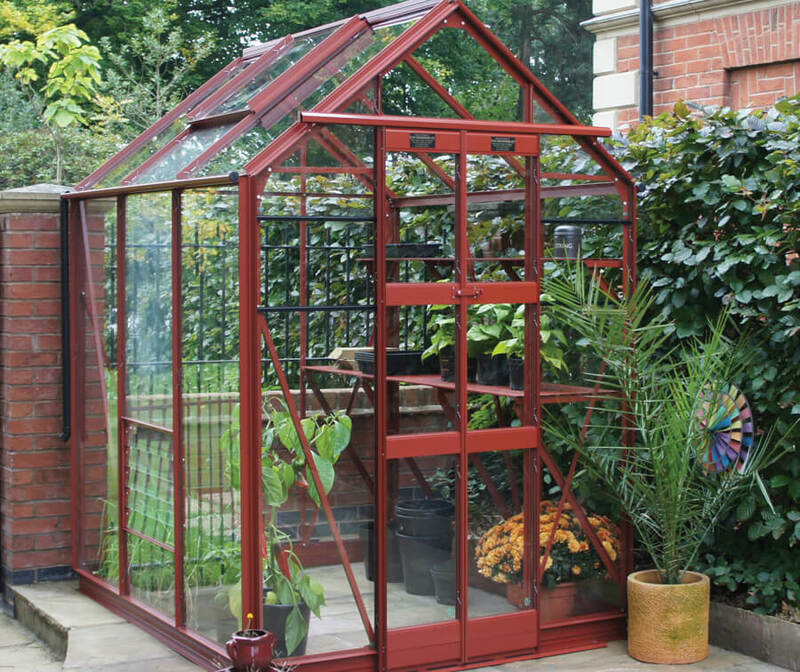 This aluminium greenhouse has a range of accessories, including shelving and staging units, double doors and low threshold access. These add-ons provide a stable structure and use the growing space well. The metal frame is available in different colours to fit the look you require. We can adapt your Delta to any length desired, meaning this excellent growing unit is suitable for long garden spaces. Feel free to get in contact with GSG either by e-mail or telephone to enquire about our products and their extra features. Choose from three glazing options - horticultural glass, toughened or polycarbonate. Upgrade the standard alloy frame with powder coating in a choice of colours. 5ft 3ins wide and lengths in 2ins modules from 4ft 5ins. For all prices, please get in touch and we will be happy to help.